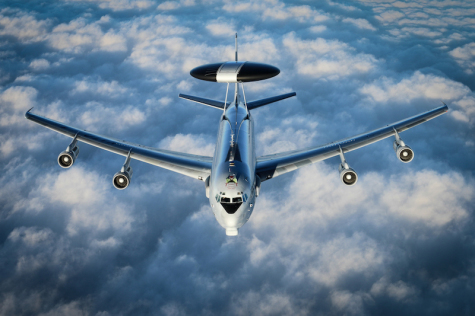 OKLAHOMA CITY --- Boeing delivered the final Airborne Warning and Control System (AWACS) aircraft modernized with avionics and a digital cockpit to the North Atlantic Treaty Organization (NATO) in Manching, Germany. This delivery is the final of 14 and ensures NATO AWACS compliance with current and future air traffic control and navigation requirements. Upgrades include five full-color digital displays in each aircraft, replacing 1970’s-era dials and provides crewmembers with customizable engine, navigation and radar data. These digital capabilities also allow NATO to consolidate crew responsibilities. “The Communication Navigation Surveillance/Air Traffic Management (CNS/ATM) modernization project enables the NATO E-3A fleet to meet current and foreseen European air traffic management requirements,” said Brig. Gen. Mike Hain, general manager, NATO Airborne Early Warning and Control Programme Management Agency.